Published by MrGeek, in Blog. Tagged with Backup, Clickfree, network, TechnoRV. tiffanywirth@gmail.com. I’d absolutely love to get my hands on this template! Thanks a lot. 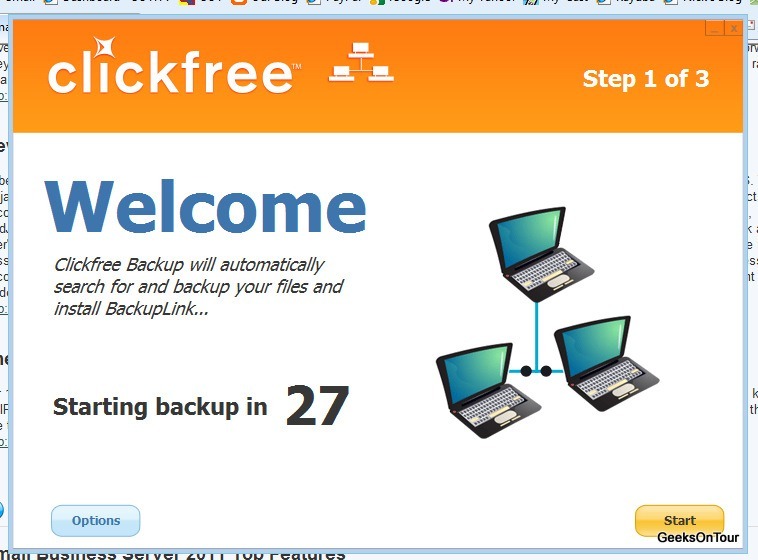 I have a two PC laptops and have just bought an Apple iMac (Lion OS) – will one of these Clickfree Backup systems work or network with both systems.Transferring my Picasa folders onto the Mac has been laborious – but a learning curve!!! I just got the Clickfree from TechnoRV and backed up files from my three networked computers. It all worked fine and I even did a test restore and that seemed to work OK, too. I backed up to an external hard drive that I have other stuff on and I am sure the backup files went there because the available capacity was reduced by the cumulative size of the backed up files. However, when I look at the hard drive with Explorer (as you said could be done), I don’t see any of those backup files. Why not? I still see the stuff that was already on the hard drive. 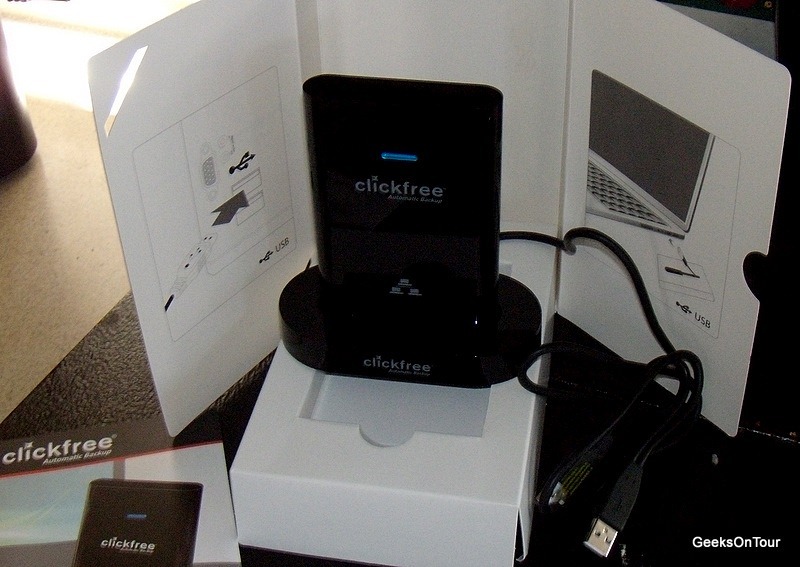 I bought ClickFree from TechnoRV at the FMCA rally in Redmond. When we got home I hooked it up to my two desktops and two laptops. Works great. A couple of weeks later my desktop hard drive crashed! I called Phil and he helped me restore my files. Piece of cake! Neat product. Can you ONLY back up pictures? Purchased my Clickfree from TechnoRV at the FMCA Rally in Perry. Received it April 1. Watched it backup the hard drives on both my desktop and laptop. So……..come on CRASH! Just kidding, I don’t really want you to crash. But it’s geat knowing the hard drives are backed up! I hear ya! I feel the same way. No – you certainly don’t want it to crash …but, we should test restore an individual file here and there just to feel confident. 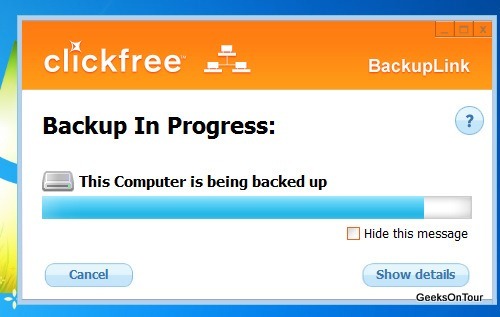 Does this backup pictures also? Absolutely. Pictures will be backed up along with other important data. When you say restore puts everything back to the original position, does this mean whatever you put on clickfree is taken off your computer? I hope not. The Clickfree does not delete anything. We were referring to restoring backed-up files to a reformatted or clean drive. Is Clickfree “only” to be used on a brand new clean drive and not for adding a bunch of folders back onto my old but good hard drive? 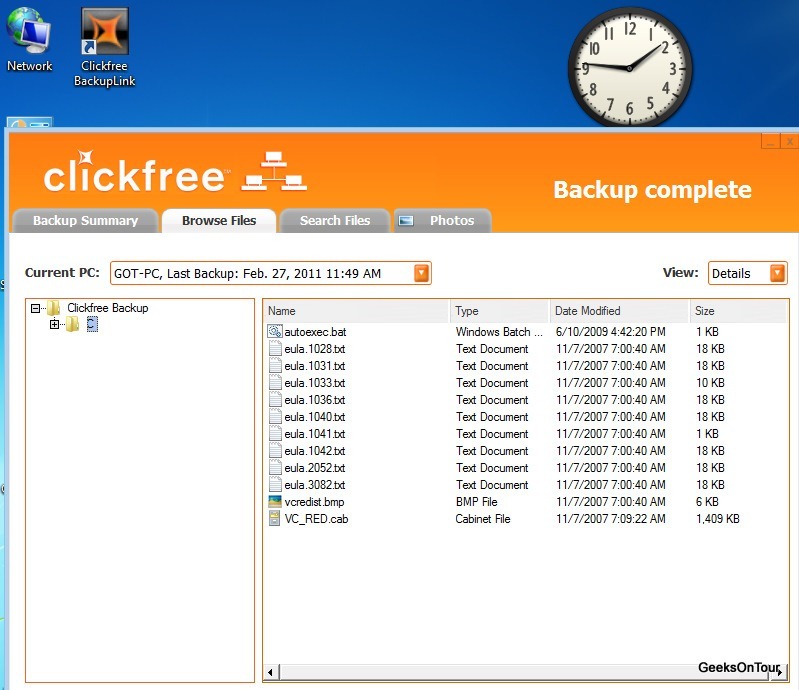 Clickfree is meant to backup *all* data files on a computer. We hooked it up to our computers which had years of data on them. Good article. Thank you. I clicked on the link for TechnoRV and go “Error… nothing found”. Is the link disabled?